Did Starbucks Accidentally Leak Generation 2? There really is no avoiding news about the upcoming Generation 2 update for Pokemon GO. I’ve tried to find other news topics. I promise. But nearly every single day, there’s a new revelation (or possible revelation) on when we can all expect Generation 2 to release. The most current rumor comes from a seemingly leaked memo for Starbucks employees. Check out the memo below. Unless “Pokeman” is some kind of annoying superhero. If you’re anything like me, the first think you did upon seeing this is try to get that sweet Groupon. Unfortunately, that deal is for email invitees only. But in all seriousness, if this leak is to be trusted, then we can all mark out calendars for December 7. But that may be a big if. First, “Pokeman?” It’s misspelled three times. Also, there’s no inclusion of the word “GO” anywhere. However, it does mention lures. Regardless, that’s a lot of credit to give such a horrendous misspelling. And is the word “Version” exchangeable with “Generation” now? That could just be the day Niantic releases a major patch that adds in PVP, trading, legendaries, and any number of other things. Given, I may just be nitpicking at this point, but this is the kind of thing that needs it. Another bit of skepticism comes with the existence of the leak altogether. Why is this information listed in this format? At best, this looks to be part of some kind of email or memo. But who is this for? Who needs this random list of 4 random marketing efforts stretching between November 11 to December 7? The biggest thing that makes me question this, though, is that the “marketing effort” simply just lists the date of the update. It’s not the start of some promotion. If that was the date they were unveiling the “Pokeman Frappuccino,” then why isn’t that the name of the point? 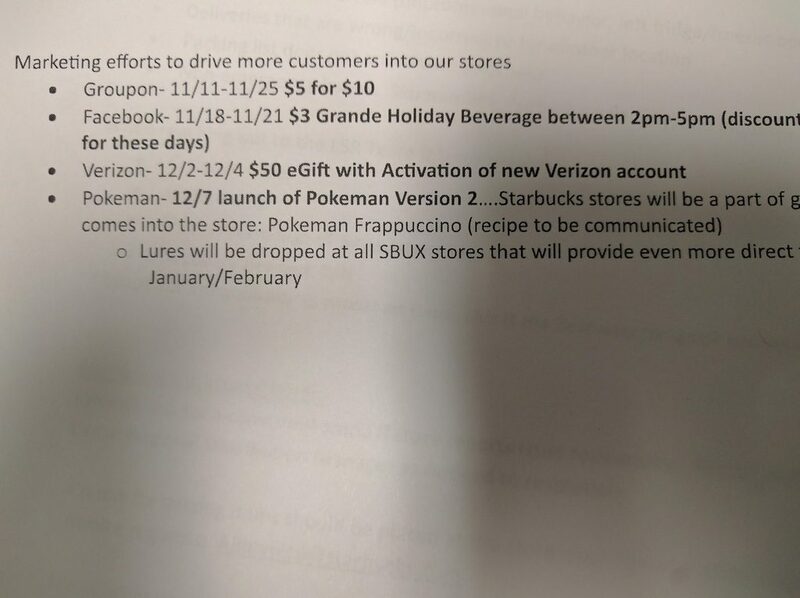 “Pokemon Frappuccino to come out 12/7 (recipe to be communicated) to celebrate the release of Generation 2 to Pokemon GO” would make a lot more sense than what’s currently there. At this point, I’m not willing to wager that this is legitimate. However, that won’t stop me from keeping my eyes open as December 7 approaches. You never know for sure. 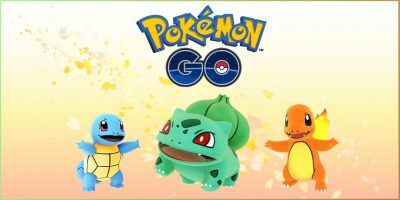 Will Pokemon GO Feature a Thanksgiving Update?